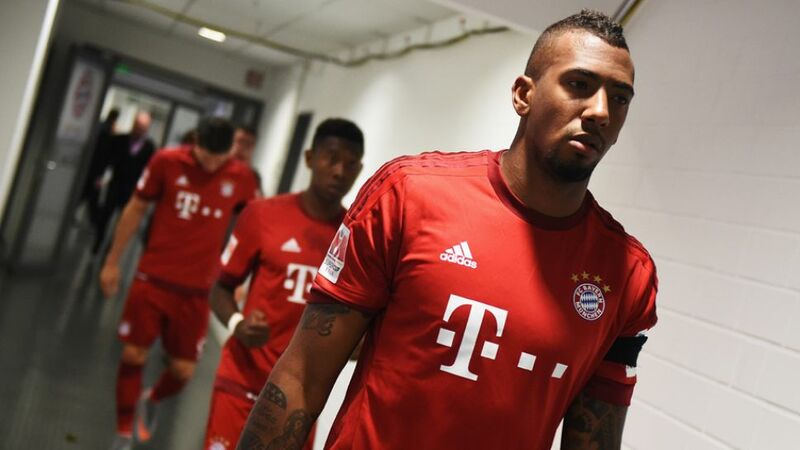 After over two months out through injury, Jerome Boateng is getting itchy feet, but the FC Bayern München defensive stalwart is not willing to take any risks as he nears a return to first-team action. In an exclusive interview with bundesliga.com, the Germany international discussed life on the sidelines, Bayern's goals for the remainder of the season and the club's forthcoming summer tour of the USA. bundesliga.com: Jerome Boateng, you've got your training gear back on – can we take that as a good sign? Are things looking up after you suffered a groin injury on 22 January? Jerome Boateng: You can. It's going well and I can already manage two training sessions a day. Obviously I mustn't overdo it and have to take it one step at a time, but things are looking up. bundesliga.com: Have you put a time frame on being back in full training and returning to the pitch? Boateng: You always have to be careful about doing that, but it could be in three to four weeks' time. bundesliga.com: That means you could still be involved in all competitions: the DFB Cup, the UEFA Champions League and the big one, the pursuit of a fourth consecutive Bundesliga title. Boateng: I'm optimistic about the Bundesliga and winning a fourth successive title. That's our main objective. In the Champions League, I obviously want us to get through to the next round and progress to the semi-finals. I should be back by then. I really want that. The Champions League is a big goal of ours.